Free Practice 1 + 2: In the first practice sessions all Kaufmann Drivers had been on a good pace. Jörg was fastest, followed by Delétraz on P 2. Rookies Mazepin and Vanthoor ended the session on P 8 and P 12. In the second session the Kaufmann drivers safed new tyres but still were very fast. Delétraz on P 5, Jörg on P 7, Vanthoor on P 8 and Mazepin P 13. Qualifying 1 + 2: In the first qualifying Delétraz was dominating. 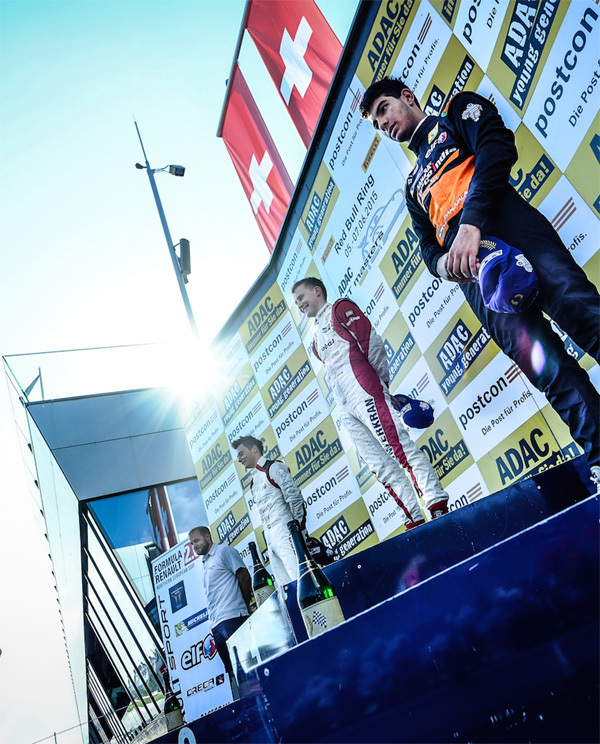 The jung swiss took two Poles as the second fastest lap was for the starting grid of race 3. Jörg twice on P 2. Mazepin on P 9 and P 6, Vanthoor a bit unlucky with track limits on P 13 and P 15. 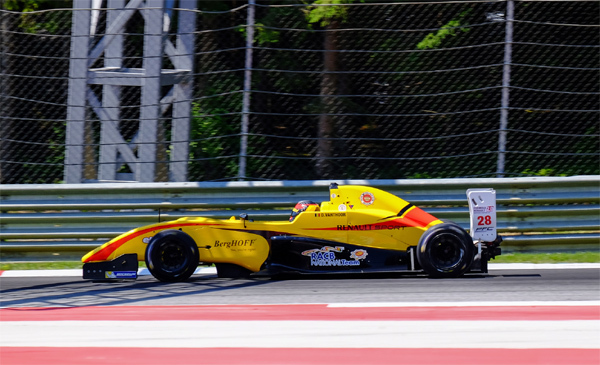 In the second qualifying Jörg was the fastest and took Pole Position ahead of teammate Delétraz on P 2. Vanthoor and Mazepin on the positions 11 and 12. Race 1: In the first race Jörg had a better start and overtook teammate Delétraz into turn 1. Vanthoor made a strong race movin up positions into P 7 at the end. 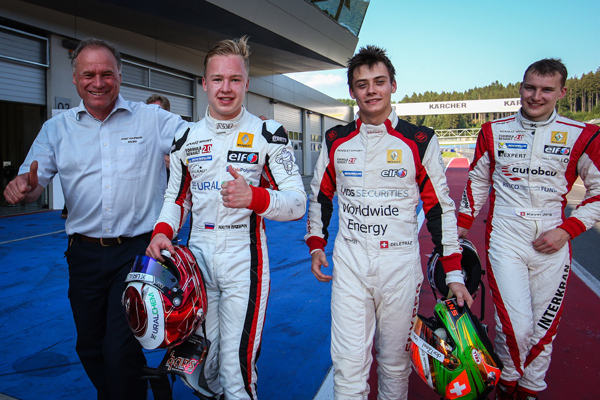 Mazepin also drove a good race and finished P 9. In the front Jörg and Delétraz pulled away from the field. In the end Jörg won ahead of Delétraz. 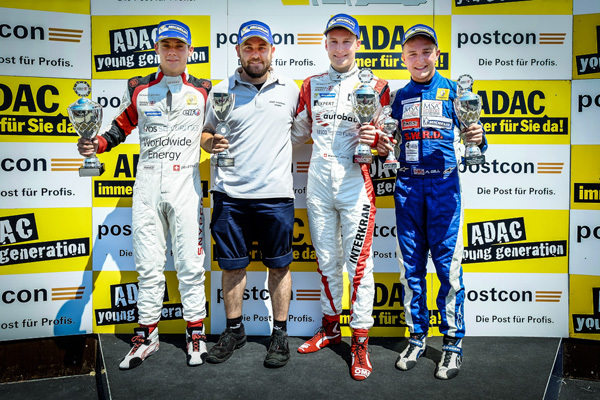 Race 2: In the second race on Sunday morning Jörg defended his lead and Delétraz lost one position in lap one. Mazepin unfortunately had to retire after a contact in turn 2. Vanthoor drove a solid race to finish on P 10. Delétraz later in the race found a way to overtake and move up to P 2. Again Jörg won the race ahead of teammate Delétraz. Race 3: In the third race Vanthoor had to retire after a run off the track with a broken rear suspension. In the lead, Delétraz had a good start to keep P 1 ahead of Jörg on P 2. Mazepin drove a brilliant race. From P 6 on the grid he fought his way up to P 3 to follow his two teammates. 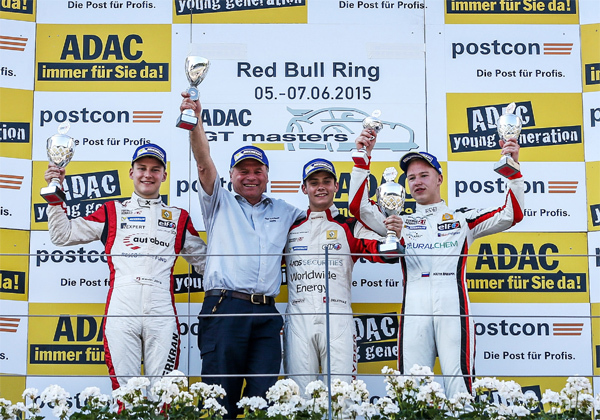 In the end all three Kaufmann drivers finished on the podium, Delétraz winning ahead of Jörg and Mazepin with his first ever podium on P 3. A historical result for the whole Team.